Music can be an act of defiance. This album is one of them, taking an unbeaten path by giving you a gorgeous organic shirt with gorgeous weird music at the same time. Why follow when you can make your own rules. Following Matt's offbeat DIY sensibilities, shirt artwork is hand designed by himself with an album download code on the collar. Forgoing CDs that become waste, Matt chose Earth Positive clothing who aim for the highest social, ethical and environmental standards. Made from 100% certified organic cotton with eco-friendly water-based screen printing inks that don't leach bad crap onto you or the world. Ethical labour practices at every stage of production, ensuring fair wages and improving labour condititions for garment workers. Made in carbon neutral facilities that use only clean renewable green electricity from wind and solar – verified by the Carbon Trust. 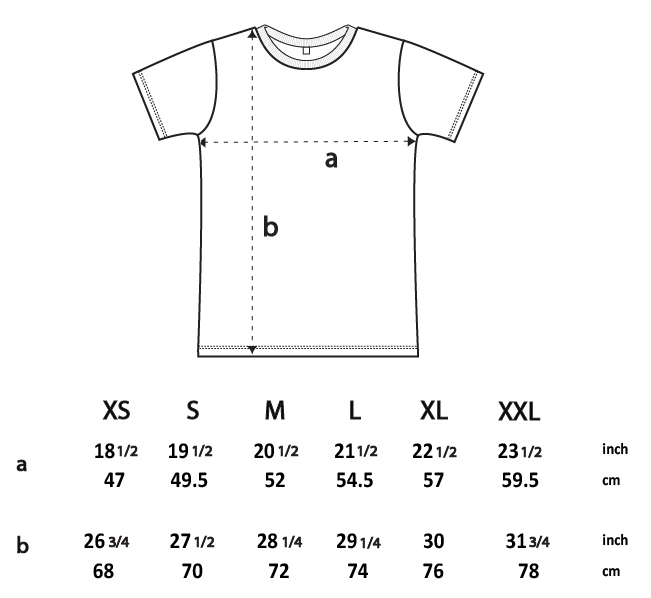 Sizes range from women’s S with rolled sleeves through to unisex XXL. 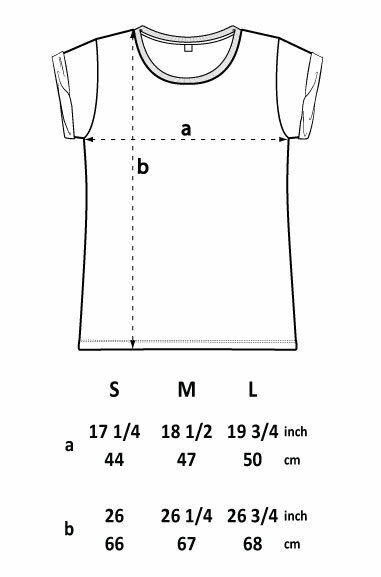 View size guide for women's and unisex shirts. Matt Hsu is a QLD Music Award nominated musician, composer, multi-instrumentalist, academic and university tutor based in Brisbane, Australia. Playing over 20 instruments incuding accordion, double bass, trumpet, drums, saw, banjo and shakuhachi. Taking creative paths less travelled to create evocative intricately-crafted music, rather than 'samey' sounds. Drawing from a diverse upbringing immersed in world music, his work explores spaces between cultures. Played on Triple J, ABC's Rage, and toured internationally as part of The Mouldy Lovers and Virginia Sook. Steeped in world music since childhood, Matt creates multilayered compositions that explore the grey areas between cultures, with an eclectic mix of instruments. Every composition created naturally with acoustic instruments and field recordings rather than eletronically. Recognised by 16 international film festivals, including being awarded Finalist at Los Angeles CineFest. Evoking a dramatic span of moods. From dark to whimsical, grandiose to primal, ethereal to exuberant. Music that resonates through daring creativity, rather than replicating trends and clichés. Matt crafts aural environments that perfectly marry with visuals, and creates sound effects and foley. Works with a range of projects from film, TV, digital media, advertising, animation, theatre to video games. In a collaboration with animator, illustrator and performance maker Ashleigh Djokic, the experimental short/music video Birdnest Hair is a celebration of scrappy optimism and womanhood. As of 2018, it has received recognition from 16 international film festivals. Interviews, articles, exclusives and editorials by and about Matt Hsu's Obscure Orchestra. ABC Radio Brisbane interview with 'Afternoons with Kat Feeney' discussing cultural appropriation and Matt's new single 'In Colour'. Single 'In Colour' reached number 1 on 4ZZZ's Weekly Top 20 during week of 30 Nov 2018. News story on Brisbane Times, extended nationally to Sydney Morning Herald, The Age, WA Today and The Canberra Times. Interview covering musical inspirations, the West End music community and multi-instrumental projects. Artist-on-artist interview between Matt Hsu and Morgan Henderson, multi-instrumenalist for Grammy nominated Fleet Foxes. QUT News story: One-man band celebrates racial diversity. In conversation with Matt Hsu featuring Ben Ely (Regurgitator), LÂLKA and Tenzin Choegyal. Frequent interviews with 4ZZZ shows including The Slubberdegullion Show, Ozone, Ecoradio and What's Good. Featured artist feature through the Brisbane Multicultural Arts Centre (BEMAC). Interview covering diversity in music, composing and the origins of Matt Hsu's Obscure Orchestra. Interview with grassroots Brisbane online music magazine Music Is My Muse (MIMM). On stage, Matt Hsu's Obscure Orchestra transmutes into a stand-up comedy music act, leaning into the ridiculousness of playing dozens of instruments aided by a loop pedal with no 'undo' function, and peppered with witty misadventures and sharp anecdotes. Perfomed at TEDxQUT as one person orchestra in Brisbane, September 2018. Peformances at BIGSOUND 2017, Angry Mime (Backbone Arts) and DIY Festival. Sweeping soundscapes from scratch with twenty instruments and a loop pedal. Working with an ever growing circle of collaborators including internationally-renown icon Tenzin Choegyal, Kenta Hayashi, Ben Ely of Regurgitator, Leanne Day-Simpson of the Arkansas Symphony Orchestra, circus performer Ellen Grow, mandolin player and vocalist Hannah Ryder and multi-instrumentalist Andre Bonetti. Tibetan artist, composer, activist and festival director. Tenzin has collaborated with the acclaimed Philip Glass. Japanese singer-songwriter and 'loop pedal ninja' creating sound by layering vocals, guitar, effects and percussion. Violinist for the Arkansas Symphony Orchestra. Leanne has toured Europe twice as a soloist. Queensland harpist and chamber musician. Appeared with prominent artists Josh Groban and Andrea Bocelli. In Matt's travels, he makes field recordings to capture the spirit of these places, combining the sounds of nature, pastoral life and urban eclectica into a pastiche of soundscapes. Scoring bespoke music for feature film, short film, telelvision, games, theatre productions, advertising, digital media, dance, events and cross-disciplinary projects. Created music for a digital stories project between Freya Wright-Brough and authors of refugee backgrounds. Worked with composer Hayden Riley providing trumpet, clarinet and percussion performances for an animated film. Composed music for six 30 second adverts Queensland Government Office of Fair Trading national campaign. Provided music for the Cracks in the Concrete oral histories project by Brisbane-based politics and philosophy talk show. Engaged to perfom at TEDxQUT as a 'one person orchestra', creating a multi-layered composition with 20 instruments live. Provided a library of music for Gabba Ward Greens Councillor Jonathan Sri in creating digital media resources. Matt is a founding member of QMusic Award nominated folk-punk troupe. In 2017, The Mouldy Lovers toured across Japan with indie luminaries OreskaBand, Bloodest Saxophone, Cavemans, Gaka画家 and Walkings. From summer festivals to charity grassroots events, we have played Falls Festival, Woodford Folk Festival and QLD Music Festival. Supported international icons such as The Original Wailers, The Skatalites, Neville Staple, Kenta Hayashi and Babylon Circus. In 2017, The Mouldy Lovers were nominated for a Queensland Music Award in the World Music category. Side projects, guest musician contributions and partnerships. Recorded with internationally acclaimed Australian artist Gabriella Cohen for her 2018 album Pink is the Colour of Unconditional Love. Matt joined French-Australian folk group Virginia Sook as a multi-instrumentalist and arranger in 2017. Now based in Europe. Joined Indigenous Australian band Apakatjah to perform at Woodfold Folk Festival 2017/2018, forming strong and lasting bonds. Matt has recorded and performed with Bosnian-Australian singer-songwriter Amela on her singles Better Off and Uniforms.